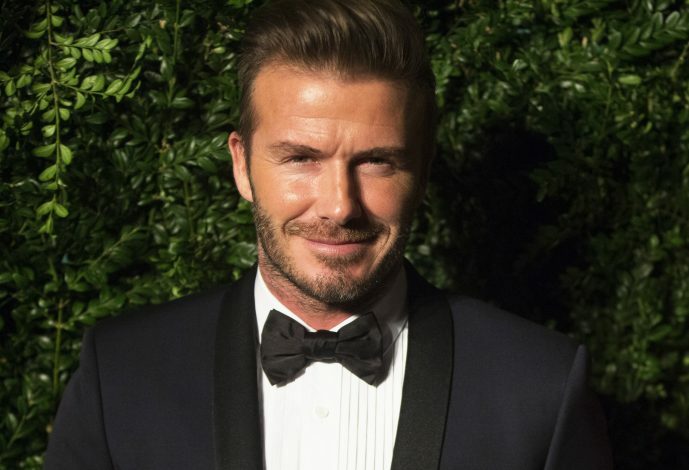 David Beckham is a superstar, and wherever he goes, he brings along fame, fans and passion. Such was also the case when Beckham joined PSG in his last years as a football player, and alongside the likes of Zlatan Ibrahimovic, helped the club grow into a massive footballing force that is now recognised and respected worldwide. This Monday, however, David Beckham returned to France, but as a visitor, and to give the club’s TV Channel an interview. Beckham played for PSG in 2013, and wore the famous 32 number jersey before retiring at the French club in grand fashion and ending his glittering career. Beckham was in the capital to visit some of his former teammates and also be part of an interview. The player not only did that, but also took out some time to pose for photos and take a tour of the dressing rooms. The ex-England captain, as well as a Real Madrid and Manchester United superstar, is now 41 years old, but he clearly has not forgotten about the club that gave him a beautiful and fitting goodbye from the world of football as a player. Among the players he met were captain Thiago Silva, Maxwell, and Pastore – all of which played with the Englishman at the club during his playing days. Further images revealed that he also caught up with Unai Emery along with the likes of Verratti, Blaise Matuidi, and Marquinhos, before finally heading out to watch the team in training.